With 195 million readers, freemium fiction in China is transforming authors and companies into internet superstars. BEIJING: Here in China, nearly 195 million people are hooked on a kind of literature that is virtually unknown in the West, but that is rapidly transforming its authors and a new breed of online media companies into the publishing stars of the future. Web literature or “original fiction” as it’s called in China is a new form of serial literature which theoretically allows anyone to become a best-selling author. The system works through a growing number of self-publishing websites that host thousands of constantly evolving, free-to-read stories posted on the sites by their authors. These websites are incredibly popular with consumers, attracting over 40% of all China’s internet users every month, who come to read web serials that can be anything from realistic novels to historical epics, comics, sci-fi and fantasy. The ingenious part of this publishing model comes in when an individual author’s serial gathers a critical mass of readers. At this point the self-publishing site invites the author to become a VIP, and their serial moves to a different section of the site where readers can sample some chapters of their work for free, but have to pay if they want to read the latest installments. The amount of money individual readers pay for original fiction is very low, with prices beginning at around 2-3 Yuan (about 20p or 30 cents) per 100,000 words. But with millions of people clamoring to find out what’s next in their new favorite story, it can be very lucrative enterprise for authors. A recent article in The China Daily, for example, claimed that Huang Wei, a popular original fiction writer, can earn 1 million Yuan (about £100,000 or $152,500) from writing, making him five times better paid than the average college graduate who’s most likely to be hooked on his serials. Selling editorial isn’t the only way to make money out of original fiction. Serials such as Summer’s Desire, My Belle Boss and Legend of Immortal have already been transformed into TV programs and even video games. This reflects both their enormous, crossover appeal and the fact Shanda Literature, China’s most popular original fiction site, is part of the country’s biggest online gaming company and therefore understands the nature and opportunities of the web better than most established publishers. 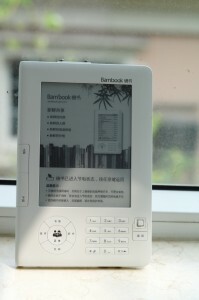 For instance, Shanda’s e-reader, the Bambook, which it launched in July 2010 managed to capture more than 10% of the Chinese e-reader market in less than six months. For publishers in the West who are worried about how they can secure e-book revenues while avoiding the piracy trap into which other media have fallen, original fiction offers an intriguing alternative model as to how to run a successful publishing business. This is a freemium fiction publishing industry funded by micropayments, where print barely exists and the product itself is constantly evolving instead of taking the form of “finished” books. It couldn’t be any more different to the western model of publishing, but the paying public here seems to like it that way. Shanda estimates that 45% of its 70 million unique monthly visitors are willing to pay for original fiction, and that this figure will rise in line with adoption of the mobile web (The China Daily’s report says that China Mobile expects to make 1 billion Yuan from original fiction alone in 2011). At the anecdotal level, evidence suggests that individual readers don’t mind paying a relatively small amount of money to find out what happens next in their favorite stories. And as a reader of original fiction myself I know I don’t! 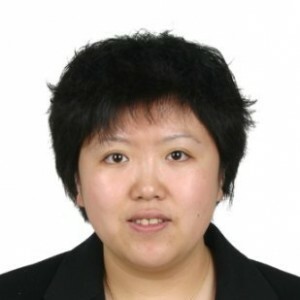 Helen Sun regularly writes on the subject of publishing in China at http://blog.publishingtechnology.com. DISCUSS: Will the Freemium Fiction Publishing Model Work in the West?